The strive for perfection is never-ending. 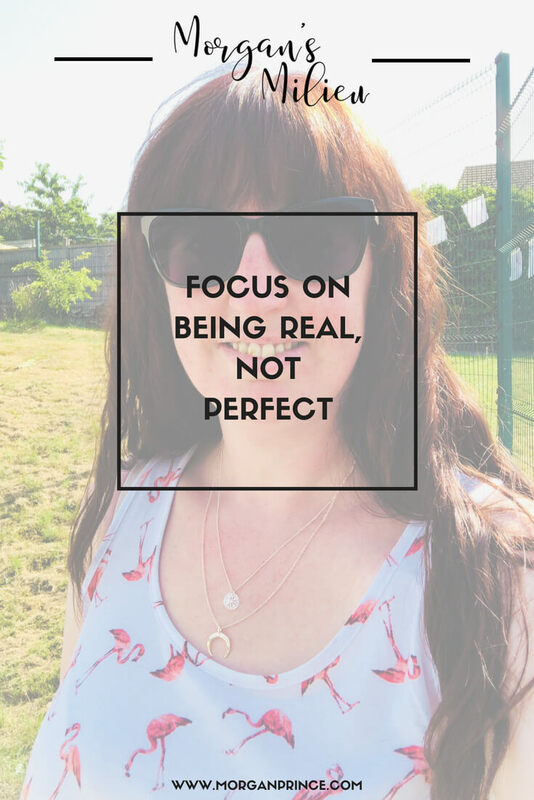 Insta-perfect family photos, manicured nails, make-up, not a hair out of place - it's easy to feel inadequate and self-conscious when everywhere you look there seem to be perfect mums. For a while now though I've been focussing on being real, not perfect. 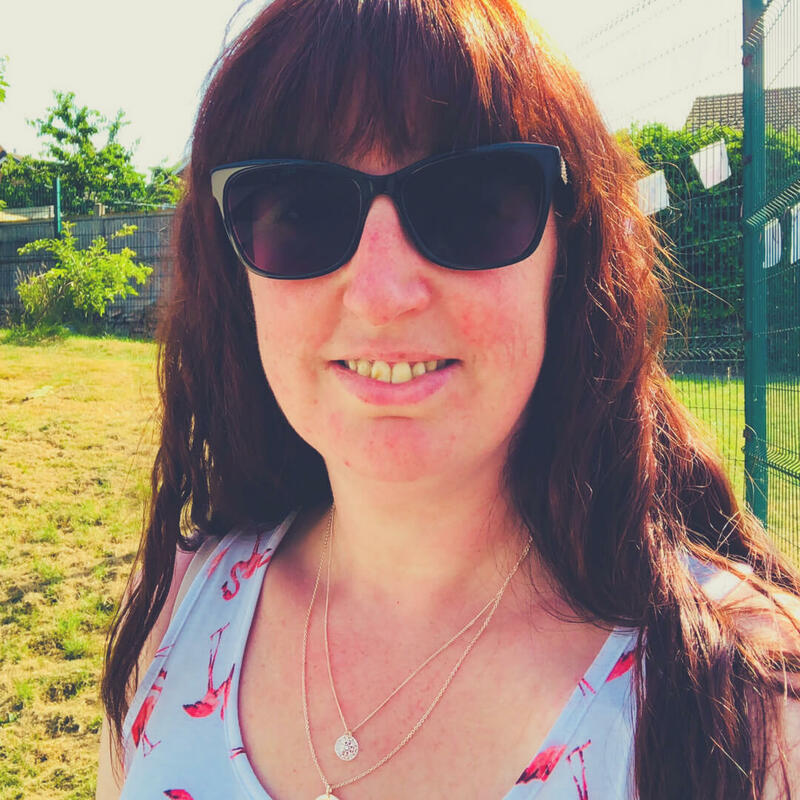 Before I became a mum I thought I would be fantastic at it - I'd have school things ready before school started on Monday, I would make packed lunches that were entertaining as well as healthy, and my children would adore me and never play up. I'm sure you know my children did play up and while, yes, they adore me they also think I'm evil and hate my guts a lot of the time. The packed lunches haven't been entertaining for a while now, although I'd like to think they're healthy, and as for having school things ready lets just say we haven't quite managed it yet - in 14 years! With a mountain of washing to be done, the house looking like it hasn't been cleaned in months, and two boys who go to school every day, parenting, being a mum, is much harder than I thought it was going to be. You see when we're imagining what being a parent is like we imagine the end result, we don't think about all the hard work that goes into getting that result. If you're feeling inadequate, self-conscious, or even just a little bit down you really need to STAY AWAY FROM INSTAGRAM. It is full of photos of perfectly happy children in gorgeous outfits smiling sweetly for the camera. There are mums dressed in floaty dresses with no stains on them, make up all done, and hair perfect, standing with their smiling children. And there are photos of wonderful looking food that has been cooked by said mum. While I know that a lot of work goes into achieving these seemingly perfect photos what they present makes me feel like I'm not good enough. I punish myself for not trying harder, I tell myself I'm rubbish for not wearing my floaty dress and doing my make up in a morning - I mean, what's stopping me? When I start to attack myself I try to think about why I don't do those things. I make a choice. I don't want to wear make up every day - I don't like the hassle involved in standing in front of the mirror for at least 20 minutes so that I can look a little bit better. My hair has never behaved itself and even though there are some days I absolutely love it, on the other days it is best just swept back into a mum bun or ponytail. These things are my choice, I'd rather live life than mess about trying to make myself look better. Don't get me wrong, I like to dress up sometimes, but I don't want to do it everyday, it's just not me. What is me is wearing jeans and a t-shirt, my hair either messy waves or swept back, and being here for my boys. I am not perfect - I'm real. A few of the things made me laugh out loud when I read them, like number 10 which read "Has school uniform washed and ironed for Monday morning". Now that certainly isn't me, I'm lucky if I've managed to get their uniform in the washing machine my Sunday afternoon! Luckily I have a quick wash option! Then there was number 14 - Reads to children every night. This is actually something I used to do with LP when he was younger. Our routine involved me reading a story to him and it was every night for a long time. He enjoyed listening to the stories and talking about them afterwards. I like to think that the reason LP loves to read now is because I read to him when he was younger. In the end, I am the only one who can give my children a happy mother who loves life. Number 30 said "Never runs out of milk or washing up liquid" and I really laughed at this one because I frequently run out of both! Milk is easily done because LP drinks a lot of it, the supermarket is more than a mile away and we don't have a local shop. But there I go making excuses you see. Let's face it, I see we're low on milk and think it can wait until I next to go the supermarket. I don't want to make a special trip just to get milk. And as for number 38... "Lays the breakfast table the night before" I mean, really? Does anyone really do that? I'm lucky if BP sits in the lounge to eat his toast between dragging himself out of bed and rushing out of the door to catch the bus to school. Setting the table for breakfast would be a big waste of time! But that's the thing, these lists exist to make us all feel inadequate when what we should be doing is calling them out. You can't tell someone what perfect is when it comes to parenting because every child is different, and so is every parent. Striving for perfection takes the fun out of everything. You can't enjoy a day out with your family if all you're doing is trying to capture that perfect photo. You can't eat breakfast together if you're busy putting make up on. You can't watch your children grow up from behind a screen. What you can do is BE THERE. See your children grow as you play with them, talk to them over breakfast (even if it's a rushed discussion over toast), and forget about being perfect. Focus on being real, be in the moment with your children and you will live a much happier life. How do you tackle the need for perfection? 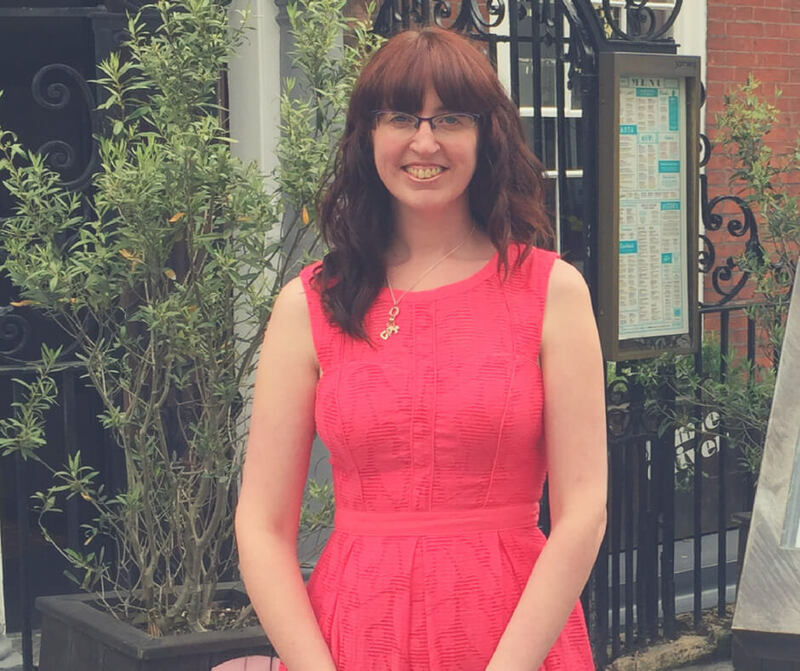 If you enjoyed reading this post you might enjoy Embrace your stay-at-home mum status! 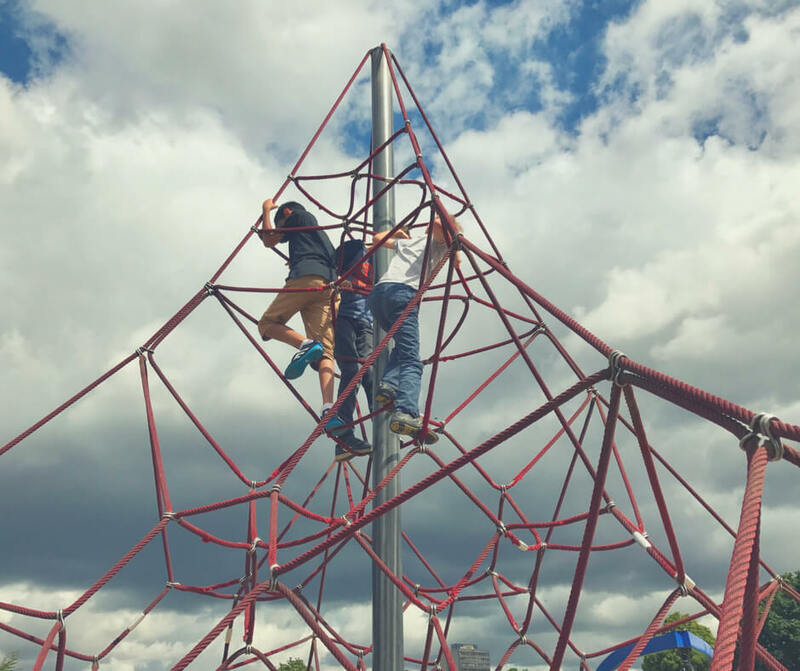 or perhaps you're looking for ways to spend time with your family in which case you should check out Activities that will bring you together as a family. I'd love to hear what you've been up to during the summer holidays and how you've been staying real - let me know over on Facebook! And if you're sick of fighting mum battles why not join my #MumWinning Revolution and start winning!